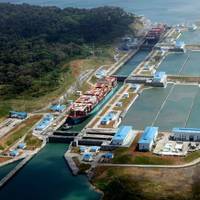 Moody's Investors Service reaffirmed the Panama Canal Authority's (ACP) A2 long-term rating with a stable outlook, based on its distinctive position as an infrastructure asset with a unique geographic advantage and business model, and its strong historical operational and financial performance.According to Moody's, the ACP's strong financial performance has resulted in better than anticipated financial metrics, driven by the successful operations of the Expanded Panama Canal. 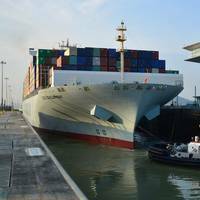 The Panama Canal closed its 2018 fiscal year with a record tonnage of 442.1 million Panama Canal tons (PC/UMS), which represents a 9.5 percent increase from the previous year, the Panama Canal Authority reports.With this tonnage, the Panama Canal surpasses the cargo projections of 429.4 million PC/UMS tons for FY 2018, as well as the 403.8 million PC/UMS tons registered in FY 2017. 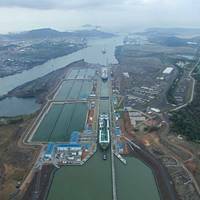 "The Panama Canal continues to exceed our expectations, reinforcing every day the importance of the waterway's expansion and its impact on global maritime trade," said Panama Canal Administrator Jorge L. Quijano. U.S. salvage industry update: Coast Guard recognition and continuous improvement for the domestic salvage industry and its working professionals.Professional salvors are called in when the ship’s crew is overwhelmed – the last resort to protect lives, minimize environmental impacts and save the ship and cargo. 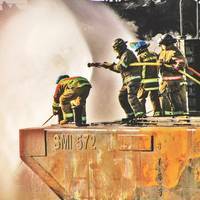 These salvage masters, divers, firefighters, naval architects, heavy lift operators and other salvage team members regularly go into harm’s way and consistently perform incredible feats. They commit their lives and livelihoods to this work. 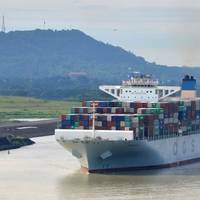 The International Transport Workers’ Federation (ITF) has been made aware of a communication sent on 30 May 2018 by the Panama Canal Authority (ACP) to the Union de Capitanes y Oficiales de Cubierta (UCOC) about reducing the tug’s complement to the minimum manning established by the Panama Maritime Authority. The ACP has informed the UCOC that from 1 July 2018 there will be further reductions to the crew with the removal of the additional captain. This position is currently part of the forward tug’s crew since the opening of the new locks in 2016. 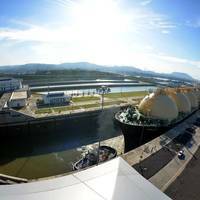 Panama Canal was honored as a nominee for the 2018 Lloyd's List Americas Awards' Environment Award in recognition of its pioneering Green Connection Environmental Recognition Program and related initiatives. 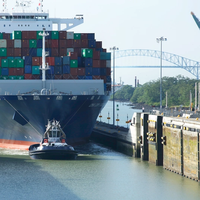 Representatives from the Panama Canal Authority were among a series of key maritime figures celebrated at the gala event last night in Houston, Texas. The Environment Award, presented by London-based maritime industry publication Lloyd's List, acknowledges exceptional programs working to reduce pollution in the marine environment caused by maritime sources. 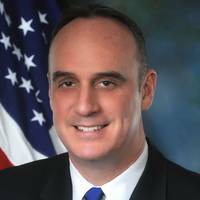 Today, the Office of Commissioner William P. Doyle of the U.S. “Last week, I notified The President of the United States Donald J. Trump of my intention to leave the Federal Maritime Commission effective January 3, 2017. It has been an honor and a privilege to continue serving in the Trump Administration. I thank President Barack Obama for nominating and appointing me twice as a Commissioner. “I am proud to have worked alongside my fellow Commissioners and with such a dedicated and hardworking Commission staff. 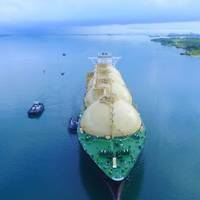 The Maritime Group (TMG) carried out a pivotal assessment review of the tugboat operations in the new third set of NeoPanamax locks of the $5.25 billion Expanded Panama Canal and made other operational observations. 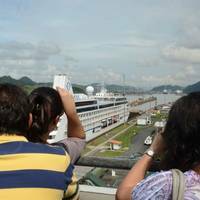 TMG was intructed by Autoridad del Canal de Panama (Panama Canal Authority – ACP) with a brief to focus on Health, Safety, Environment and Quality (HSEQ) procedures. "ACP accepted our findings in early September 2017 and is now considering any modifications to its procedures and the optimization of its schedules," says a press release. 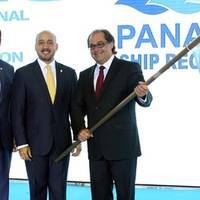 The connections between ships, ports and people were once again the focus for an international audience, as Panama hosted the 2017 World Maritime Day Parallel Event. The event was formally opened by His Excellency Mr Juan Carlos Varela Rodriguez, President of the Republic of Panama. During the keynote address, which focused on the World Maritime Day theme "Connecting ships, ports and people", IMO Secretary-General Kitack Lim emphasized IMO's strong commitment to helping achieve the aims of the Sustainable Development Goals adopted by the United Nations. 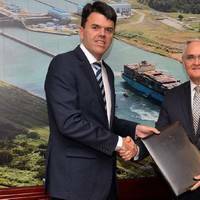 Modifications to the Panama Canal tolls structure have been approved by the Cabinet Council of the Republic of Panama. 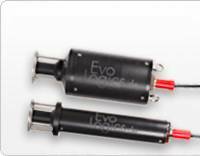 After a thorough analysis of the current utilization and productivity of the Neopanamax Locks, and after meetings with Panama Canal executives, customers and industry representatives in Europe, Asia and North America, the proposed tolls modifications were officially announced on June 1, 2017. This was followed by a formal consultation period to ensure all interested parties could provide feedback for consideration. 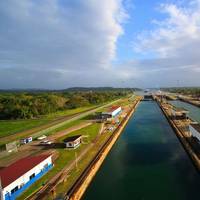 The head of the Panama Canal Authority said on Monday a Miami-based arbitration board rejected a demand by Spanish-led GUPC consortium for $192.8 million to cover cost overruns during the building of a third set of locks for the century-old waterway. 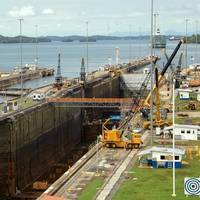 GUPC or Grupo Unidos por el Canal includes Sacyr SA of Spain, Impregilo of Italy, Jan De Nul of Belgium and Constructura Urbana of Panama. The authority's chief executive, Jorge Quijano, announced the ruling in a post on his Facebook page.